It’s Christmas! And as such it’s time for Yuletide baking. 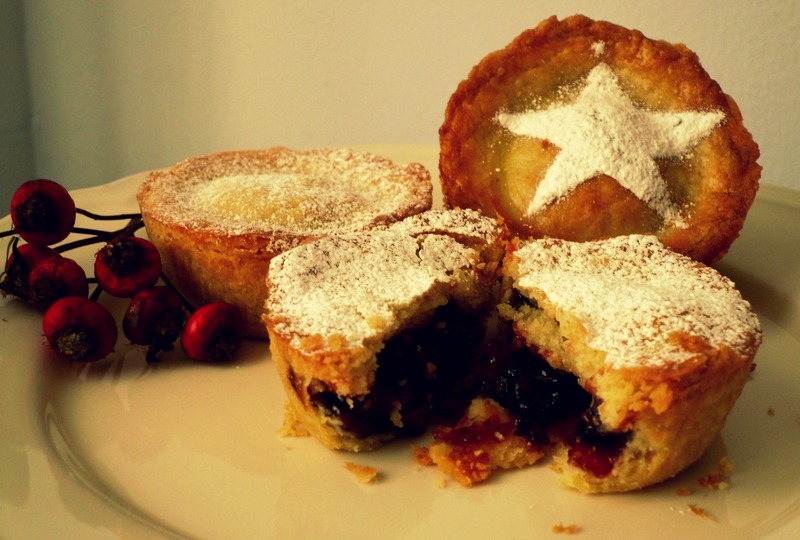 With this in mind, I decided to bake mince pies. 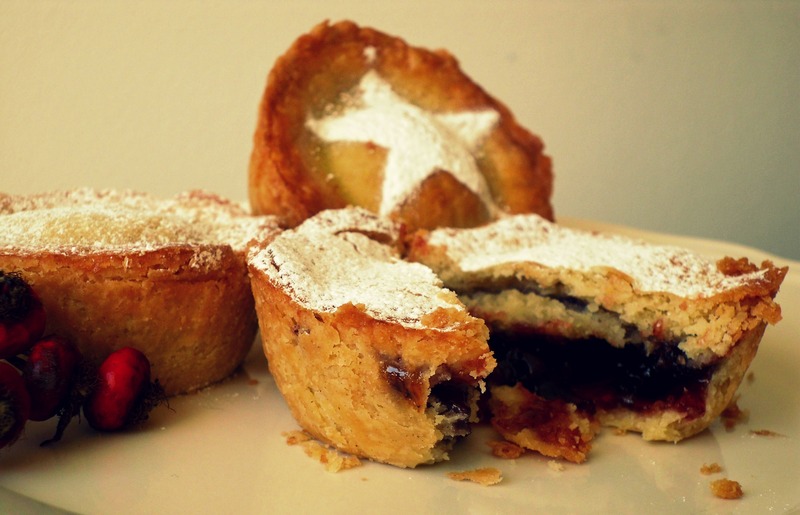 Initially I wanted to make pastry and mince meat, but when I realised just how much of a fuss it is, and considering that I am pretty busy, I decided to buy two different mince meat fillings from Waitrose and see which one worked best. This recipe will yield I’d say about 20 to 22 mince pies but I made 18 and used what was left of the dough to make heart- and teddy-shaped soft cookies to hang onto my Christmas tree. Combine flour, sugar and salt in a large bowl. Mix the beaten egg and water and set aside. Add the butter to the bowl and knead well. It will look like there is way too much flour to begin with, but trust me, keep working the mixture and feel free to count this as part of your workout for the week! When the dough is almost ready add half of the egg mixture and knead a little more, until you have a smooth ball of buttery dough. Wrap in cling film and place in the fridge for at least half an hour. Preheat the oven to 200°C/gas mark 6/fan assisted 180°C. 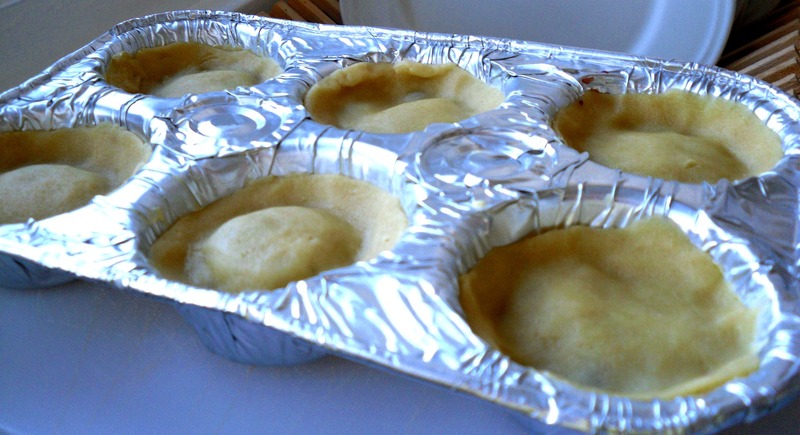 Butter 18 holes of muffin tins and line them by pressing big walnut-sized balls of pastry into each hole. Spoon the mincemeat into the pies. Pick slightly smaller balls of pastry from your Mother Dough Ball and pat them out between your hands to make round lids. Top the pies with their lids, pressing the edges gently together to seal the pies. Brush the tops with the rest of the egg mixture and bake for 20 minutes. Let cool for 5 minutes and then sprinkle with icing sugar. I made two paper templates, a star and a holly leaf and held them over the mince pies while dusting the sugar to make them look extra cute.